Panayiotis V. Frangos: was born in Thessaloniki, Greece, in 1959. He received the Bachelor Degree from the NTUA, Greece, in 1983, and the Master's and Ph. D. Degrees from the Moore School of Electrical Engineering, University of Pennsylvania, Philadelphia, USA, in 1985 and 1986 respectively, all in Electrical Engineering. Since 1989, after his military service in Greece, he has been with the Faculty of the Department of Electrical and Computer Engineering, NTUA, first as a Lecturer (1989 - 92), and subsequently as an Assistant Professor (1992 - 96), Associate Professor (1996 - 2000), and Full Professor (2000 - today). 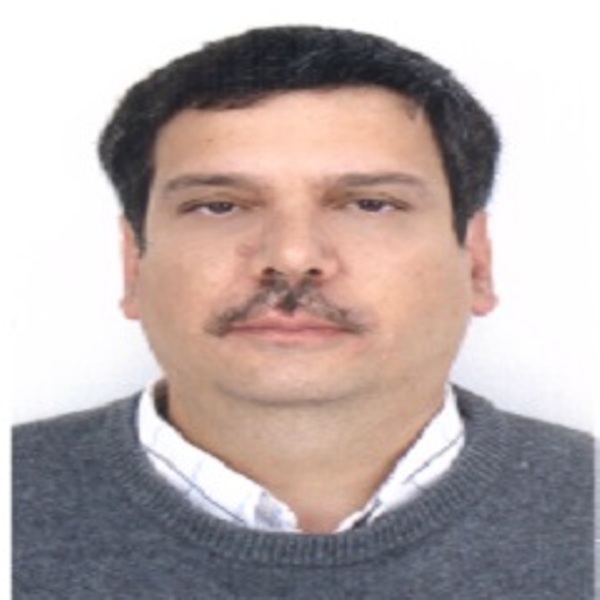 Since 2009 he has been the Editor for the International Scientific 'Journal of Applied Electromagnetism', published by the School of Electrical and Computer Engineering, NTUA. He has been a Member of the Editorial Board for Journal of 'Electronics and Electrical Engineering', a Member of the Scientific/Organizing Committee for many International Conferences, a Guest Editor to the Special Issue of IET 'Signal Processing' Journal on 'ISAR Signal Processing Techniques' (June 2007), Lead Guest Editor to the Special Issue of 'International Journal Antennas and Propagation' (IJAP), Hindawi Ed. Co., on 'Propagation of Electromagnetic (EM) Waves over Terrain' (PEWT), July 2013 – July 2014. He has also participated in many national and international research projects and International Collaboration Programs. He has been a member of several scientific working groups and technical committees, both national and international. He is the author of the book 'Electromagnetic methods of Remote Sensing', in Greek. He has presented more than about 190 papers in International Scientific Journals (41), Book Chapters (3) and International Conferences - International Scientific Working Groups (127). He has received about 280 citations for his research work. His areas of research include: Propagation of electromagnetic waves over terrain, radar systems, direct and inverse synthetic aperture radar signal processing techniques, scattering from fractal surfaces, high frequency scattering techniques, inverse scattering, nonlinear propagation of electromagnetic (EM) waves in optical fibers, finite - element techniques, near EM field calculations, imaging of radar targets etc. He is a member of the Technical Chamber of Greece. He serves as a reviewer for many International Scientific Journals such as IEEE Antennas and Propagation, IEEE Aerospace and Electronics Systems, IET (IEE) Signal Processing, etc. G. Pouraimis, A. Kotopoulis, E. Kallitsis and P. Frangos, 'Characterization of Three – Dimensional Rough Fractal Surfaces from Backscattered Radar Data', accepted by 'Elektronika ir Elektrotechnika' Journal, April 2017. Chrysostomou, S. Bourgiotis, S.Sautbekov, K. Ioannidi and P. Frangos, 'Radiation of a Vertical Dipole Antenna over Flat and Lossy Ground : Accurate Electromagnetic Field Calculation using the Spectral Domain Approach along with Redefined Integral Representations and corresponding Novel Analytical Solution', 'Electronics and Electrical Engineering' Journal, Vol. 22, No. 2, 2016, pp. 54-61. Kotopoulis, A. Malamou, G. Pouraimis, E. Kallitsis and P. Frangos, 'Characterization of Rough Fractal Surfaces from Backscattered Radar Data', 'Elektronika ir Elektrotechnika' Journal, ISSN 1392 – 1215, Vol. 22, No. 6, pp. 61-66, 2016. G. Bebrov, S.Bourgiotis, A. Chrysostomou, S. Sautbekov and P. Frangos, 'The radiation problem from a vertical short dipole antenna above flat and lossy ground : validation of novel spectral domain analytic solution in the high frequency regime and comparison to empirical terrain propagation models', accepted for publication to Journal of Applied Electromagnetism (JAE), as selected from CEMA'16 Conference, Athens, Greece, October 2016. K. Ksystra, P. Stefaneas and P. Frangos, 'An algebraic framework for the verification of context – aware adaptive systems', International Journal of Software Engineering and Knowledge Engineering, Vol. 25, No. 7, pp. 1105 – 1128, September 2015. S. Bourgiotis, A. Chrysostomou, K. Ioannidi, S.Sautbekov and P. Frangos, 'Radiation of a Vertical Dipole over Flat and Lossy Ground using the Spectral Domain Approach : Comparison of Stationary Phase Method Analytical Solution with Numerical Integration Results', 'Electronics and Electrical Engineering' Journal, Vol. 21, No. 3, May/June of 2015. Malamou, C. Pandis, P. Frangos, P. Stefaneas, A. Karakasiliotis and D. Kodokostas, 'Application of the Modified Fractal Signature Method for Terrain Classification from Synthetic Aperture Radar Images', Electronics and Electrical Engineering Journal, Vol. 20, No. 6, pp. 118 – 121, 2014. E. D. Kallitsis, A. V. Karakasiliotis and P. V. Frangos, 'Inverse synthetic aperture radar (ISAR) imaging : a novel fine range profile alignment method for air target slant range rotational motion compensation', Journal of Applied Electromagnetism (JAE), Vol. 16, No. 1, pp. 28 – 45, June 2014. K. Ioannidi, Ch. Christakis, S. Sautbekov, P. Frangos and S.K. Atanov, 'The radiation problem from a vertical Hertzian dipole antenna above flat and lossy ground : novel formulation in the spectral domain with closed – form analytical solution in the high frequency regime', International Journal Antennas and Propagation (IJAP), Hindawi Ed. Co., Special Issue 'Propagation of electromagnetic (EM) waves over terrain' (PEWT), vol. 2014, Article ID 989348, doi:10.1155/2014/989348, 9 pages, 2014. A. Malamou, A. Karakasiliotis, E. Kallitsis, G. Boultadakis, and P. Frangos, 'Application of a Fully Automatic Autofocusing Algorithm for Post – Processing of Synthetic Aperture Radar Images based on Image Entropy Minimization', Electronics and Electrical Engineering Journal, Vol. 19, No. 6, June 2013, pp. 95 – 98. N. Triantafyllou, P. Stefaneas and P. Frangos, 'An Algorithm for Allocating User Requests to Licenses in the OMA DRM System', IEICE Transactions on undamentals of Electronics, Communication and Computer Sciences, accepted for publication in December 2012. E. D. Kallitsis, A. V. Karakasiliotis, G. E. Boultadakis, P. V. Frangos, 'A Fully Automatic Autofocusing Algorithm for Post-processing ISAR Imaging based on Image Entropy Minimization', 'Electronics and Electrical Engineering' Journal, No. 4 (110), April 2011, pp. 125 – 130. G. K. Kalognomos, G. E. Boultadakis, A. V. Karakasiliotis and P. V. Frangos, 'Performance Analysis of a Parameterized APES (PAPES) Spectrum Estimation Method for ISAR Applications', 'Electronics and Electrical Engineering' Journal, No. 3 (99), March 2010. A. Doukeli, A. Lioumpas, G. Karagiannidis and P. Frangos, 'Increasing the Efficiency of Rake Receivers for Ultra-Wideband Applications', 'Wireless Personal Communications' Journal, accepted July 2010. Ch. G. Moschovitis, H. T. Anastassiu, and P. V. Frangos, 'Scattering of electromagnetic waves from a rectangular plate using an Extended Stationary Phase Method based on Fresnel functions (SPM-F)', Progress In Electromagnetics Research (PIER), Vol. PIER 107, pp. 63-99, August 2010. Ch. Moschovitis, K. Karakatselos, E. Papkelis, H. Anastassiu, I. Ouranos, A. Tzoulis and P. Frangos, 'High Frequency Analytical Model for Scattering of Electromagnetic Waves from a Perfect Electric Conductor Plate using an Enhanced Stationary Phase Method Approximation', IEEE Trans. Antennas and Propagation, Vol. 58, No. 1, pp. 233 – 238, January 2010. S. S. Sautbekov, I. A. Kanymgazieva and P. Frangos, 'Radiation of electric and magnetic dipole antennas in magnetically anisotropic media', 'Electronics and Electrical Engineering' Journal, September 2009, Vol. 97, No. 1, January 2010. G. E. Boultadakis, G. K. Kalognomos, L. K. Stergioulas, A. V. Karakasiliotis, and P. V. Frangos, 'A Comparative Study of Bilinear Time–Frequency Transforms of ISAR Signals for Air Target Imaging', 'Electronics and Electrical Engineering' Journal, Vol. 92, Nr. 4, pp. 87 – 92, 2009. S. Sautbekov and P. Frangos, 'Directivity diagrams of the magnetic moment of a dipole in the anisotropic medium', Journal of Applied Electromagnetism (JAE), Vol. 11, No. 1, pp. 28 –34, June 2009. A. V. Karakasiliotis, A. D. Lazarov, P. V. Frangos, G. Boultadakis and G. Kalognomos, 'Two-dimensional ISAR Model and Image Reconstruction with Stepped Frequency Modulated Signal', IET Signal Processing Journal, Special Issue on 'ISAR Signal Processing Techniques and Feature Extraction', Vol. 2, Issue 3, pp. 277 – 290, September 2008. A. V. Karakasiliotis, G. Boultadakis , A. D. Lazarov, and P. V. Frangos, 'High-Resolution Stepped Frequency Inverse Synthetic Aperture Radar Imaging Using Time-Frequency Transforms', Journal of Applied Electromagnetism (JAE), June 2008 issue. E. Papkelis, H. Anastassiu and P. Frangos, 'A time – efficient near – field scattering method applied to radio – coverage simulation in urban microcellular environments', IEEE Trans. Antennas and Propagation, Vol. 56, No. 10, pp. 3359 – 3363, October 2008. H. Moshovitis, H. Anastassiu and P. Frangos, 'Calculation results of scattering of electromagnetic waves from rectangular perfectly conducting plate using an extended three dimensional Stationary Phase Method which is based on Fresnel functions (SPM-F)', Journal of Applied Electromagnetism (JAE), December 2008 issue, pp. 68 – 77. S. Sautbekov, I. Kanymgazieva and P. Frangos, 'The generalized solutions of Maxwell equations for the uniaxial crystal', Journal of Applied Electromagnetism (JAE), December 2008 issue, pp. 43 – 55. E. Papkelis, I. Psarros, I. Ouranos, Ch. Moschovitis, K. Karakatselos, E. Vagenas, H. Anastassiu and P. Frangos, 'A Radio Coverage Prediction Model in Wireless Comminication Systems based on Physical Optics and Physical Theory of Diffraction', IEEE Antennas and Propagation Magazine, Vol. 49, No. 2, pp. 156 – 165, April 2007. Iakovos Ouranos, Petros Stefaneas and Panayiotis Frangos, 'An Algebraic Framework for Modeling of Mobile Systems', IEICE Transactions on Fundamentals of Electronics, Communication and Computer Sciences, Vol. E90-A, No. 9, pp. 1986-1999, September 2007. A. Karakasiliotis and P. Frangos, 'Decimative Spectrum Estimation Method for High – Resolution Radar Parameter Estimates', Journal of Applied Electromagnetism (JAE), Vol. 9, No. 2, pp. 88-97, December 2007. K. Eftaxias, P. Frangos, P. Kapiris, J. Polygiannakis, J. Kopanas, A. Peratzakis, P. Skountzos and D. Jaggard, 'Review and a model of pre-seismic electromagnetic emissions in terms of fractal electrodynamics', 'Fractals' Journal, Vol. 12, No. 2, pp. 243 – 273, 2004. C. Papachristos and P. Frangos, 'Design of corrugated optical waveguide filters through a direct numerical solution of the coupled Gel'fand - Levitan - Marchenko integral equations', Journal of the Optical Society of America A, Vol. 19, Νο. 5, pp. 1005 – 1012, May 2002. C. Papachristos and P. Frangos, 'Synthesis of single- and multi-mode planar optical waveguides by a direct numerical solution of the Gel'fand – Levitan – Marchenko integral equations', Optics Communications, Vol. 203, pp. 27 – 37, 2002. S. Savaidis, P. Frangos, D. L. Jaggard and K. Hizanidis, 'Scattering from fractally corrugated surfaces using the Extended Boundary Condition Method', Journal of the Optical Society of America A, Vol. 14, No. 2, pp. 475 - 485, 1997. P. Frangos, N. Nikitakos and N. Uzunoglu, 'Scattering of electromagnetic waves from complex conducting objects using a finite - element near - field computation method', 'Electromagnetics' Journal, Vol. 17, pp. 185 - 197, 1997. I. Aliferis, K. Danaka, P. Frangos and G. Athanassoulis, 'A multilayer model for the reconstruction of sea bottom acoustic parameters', Journal of Applied Electromagnetism (JAE), Vol. 1, No. 1, pp. 67 - 79, October 1997. P. Frangos, N. Nikitakos and N. Uzunoglu, 'Electromagnetic field of a plane trapezoid of uniform distribution of current', Electromagnetics Journal, Vol. 16, No. 2, pp. 145-163, 1996. P. Frangos, 'A numerical solution to the Zakharov-Shabat inverse scattering problem with application to solitary wave propagation in nonlinear optical fibers', Optics Communications, Vol. 123, pp. 743-751,1996. P. Frangos and D. Jaggard, 'Inverse scattering : solution of coupled Gel'fand-Levitan-Marchenko integral equations using successive kernel approximations', IEEE Trans. Ant. Prop., Vol. 43, 6, pp. 547-552, 1995. S. Savaidis, P. Frangos, D. L. Jaggard and K. Hizanidis, 'Scattering from fractally corrugated surfaces : an exact approach', Optics Letters, Vol. 20, No. 23, pp. 2357-2359, 1995. P. Frangos, D. Frantzeskakis and C. Capsalis, 'Pulse propagation in a nonlinear optical fiber of parabolic profile by direct numerical solution of the Gel'fand - Levitan - Marchenko integral equations', IEE Proc., J, Vol. 140, 2, pp. 141-149, 1993. P. Frangos, N. Nikitakos and N. Uzunoglu, 'Determination of the natural frequencies of complex objects using a finite-element near-field computation method', J. of Electromagnetic Waves and Applications, Vol. 7, No. 12, 1633 - 1652, 1993. P. Frangos and D. Jaggard, 'Analytical and numerical solution to the two - potential Zakharov - Shabat inverse scattering problem', IEEE Trans. Ant. Prop., Vol. 40, 4, pp. 399-404, 1992. P. Frangos and D. Jaggard, 'A numerical solution to the Zakharov - Shabat inverse scattering problem', IEEE Trans. Ant. Prop., Vol. 39, 1, pp. 74-79, 1991. D. Jaggard and P. Frangos, 'The electromagnetic inverse scattering problem for layered dispersionless dielectrics', IEEE Trans. Ant. Prop., Vol. 35, 8, pp. 934-946,1987. P. Frangos and D. Jaggard, 'The reconstruction of stratified dielectric profiles using successive approximations', IEEE Trans. Ant. Prop., Vol. 35, 11, pp. 1267-1272, 1987. D. Jaggard, Y. Kim, K. Schultz and P. Frangos, 'Experimental confirmation of nonlinear inverse scattering algorithms', J. Opt. Soc. Amer. A, Vol.4, pp. 1228-1238,1987. A. Chrysostomou, S. Bourgiotis, S.Sautbekov, K. Ioannidi and P. Frangos, 'Radiation of a Vertical Dipole Antenna over Flat and Lossy Ground : Accurate Electromagnetic Field Calculation using the Spectral Domain Approach along with Redefined Integral Representations and corresponding Novel Analytical Solution', presentation at the 'Military University of V. Turnovo', Bulgaria, April 2016. A. Chrysostomou, S. Bourgiotis, S.Sautbekov, K. Ioannidi and P. Frangos, 'Radiation of a Vertical Dipole Antenna over Flat and Lossy Ground : Accurate Electromagnetic Field Calculation using the Spectral Domain Approach along with Redefined Integral Representations and corresponding Novel Analytical Solution', presentation at the 'West Pomeranian Technical University', Faculty of Electrical and Electronic Engineering, Szczecin, Poland, April 2016. A. Chrysostomou, S. Bourgiotis, S.Sautbekov, K. Ioannidi and P. Frangos, 'Radiation of a Vertical Dipole Antenna over Flat and Lossy Ground : Accurate Electromagnetic Field Calculation using the Spectral Domain Approach along with Redefined Integral Representations and corresponding Novel Analytical Solution', presentation at the 'West Pomeranian Technical University', 'Electronics 2016' Conference, Palanga, Lithuania, 13-15/6/2016. Kotopoulis, G. Pouraimis, A. Malamou, E. Kallitsis, and P. Frangos, 'Characterization of fractal rough surfaces from backscattered radar data', 'Electronics 2016' Conference, Palanga, Lithuania, 13-15/6/2016. A. Kotopoulis, G. Pouraimis, A. Malamou, E. Kallitsis, and P. Frangos, 'Characterization of fractal rough surfaces from backscattered radar data', CEMA'16 Conference, Athens, Greece, 13-15/10/2016. G. Bebrov, S.Bourgiotis, A. Chrysostomou, S. Sautbekov and P. Frangos, 'The radiation problem from a vertical short dipole antenna above flat and lossy ground : validation of novel spectral domain analytic solution in the high frequency regime and comparison to empirical terrain propagation models', CEMA'16 Conference, Athens, Greece, 13-15/10/2016. A. Kotopoulis, G. Pouraimis, A. Malamou, E. Kallitsis, and P. Frangos, 'Characterization of rough surfaces from backscattered SAR radar data in noisy conditions', SET 215 meeting, Athens, Greece, 9-10/11/2016. S. Bourgiotis, A. Chrysostomou, K. Ioannidi, S. Sautbekov and P. Frangos, 'The Radiation Problem from a Vertical Short Dipole Antenna above Flat and Lossy Ground : Novel Formulation in the Spectral Domain with Closed – Form Analytical Solution in the High Frequency Regime', presentation at the Technical University of Varna, Bulgaria, 4/6/2015. S. Bourgiotis, A. Chrysostomou, K. Ioannidi, S. Sautbekov and P. Frangos, 'The Radiation Problem from a Vertical Short Dipole Antenna above Flat and Lossy Ground : Novel Formulation in the Spectral Domain with Closed – Form Analytical Solution in the High Frequency Regime', 'Electronics 2015' Conference, Palanga, Lithuania, 15-17/6/2015. A. Kotopoulis, G. Pouraimis, A. Malamou, E. Kallitsis, and P. Frangos, 'An Autofocusing Post-Processing Algorithm for SAR Image Optimization based on Image Entropy Minimization - Modified Fractal Signature (MFS) Method for SAR Terrain Classification', SET 215 Working Group on 'SAR radar techniques', Rennes, France, June 28 – July 1, 2015. A. Kotopoulis, G. Pouraimis, A. Malamou, E. Kallitsis, and P. Frangos, 'Characterization of fractal rough surfaces from backscattered radar data', SET 215 Working Group on 'SAR radar techniques', Constantinople, Turkey, 15 – 16/12/2015. A. Malamou, C. Pandis, P. Frangos, P. Stefaneas, A. Karakasiliotis and D. Kodokostas, 'Application of the Modified Fractal Signature Method for Terrain Classification from Synthetic Aperture Radar Images', 'Electronics 2014' Conference, 16-18/6/2014, Palanga, Lithuania. Ch. Christakis, K. Ioannidi, S.Sautbekov, P. Frangos and S.K. Atanov, 'The Radiation Problem from a Vertical Short Dipole Antenna above Flat and Lossy Ground: Novel Formulation in the Spectral Domain with Closed – Form Analytical Solution in the High Frequency Regime', 'Electronics 2014' Conference, 16-18/6/2014, Palanga, Lithuania. A. Malamou and P. Frangos, 'Application of the Modified Fractal Signature Method for Terrain Classification from Synthetic Aperture Radar Images', SET 163 Working Group, ONERA, Paris, 28-30/4/2014. E. Kallitsis, A. Karakasiliotis, A. Kotopoulis and P. Frangos, 'DESED enhanced slant range rotational motion compensation algorithm for a novel fine range profile alignment in air – target imaging', CEMA'14 Conference, Technical University of Sofia, Bulgaria, October 2014. A. Malamou, C. Pandis, P. Frangos and P. Stefaneas, 'SAR image terrain classification using the Modified Fractal Signature (MFS) method', CEMA'14 Conference, Technical University of Sofia, Bulgaria, October 2014. S. Bourgiotis, K. Ioannidi, Ch. Christakis, S.Sautbekov and P. Frangos, 'The Radiation Problem from a Vertical Short Dipole Antenna above Flat and Lossy Ground: Novel Formulation in the Spectral Domain with Numerical Solution and Closed – Form Analytical Solution in the High Frequency Regime', CEMA'14 Conference, Technical University of Sofia, Bulgaria, October 2014. A. Malamou, C. Pandis, P. Stefaneas, P. Frangos, A. Karakasiliotis and E. Kallitsis, 'An Autofocusing Post-Processing Algorithm For ISAR and SAR Image Optimization based on Image Entropy Minimization - Modified Fractal Signature (MFS) Method for ISAR / SAR Image Classification', 2nd International Conference on 'Applications of Mathematics and Informatics in Military Science' (2nd AMIMS), Vari, Athens, April 11th -12th, 2013. A. Malamou, A. Karakasiliotis, E. Kallitsis and P. Frangos, 'An Autofocusing Post-Processing Algorithm For SAR Image Optimization based on Image Entropy Minimization', SET 163 Working Group, Ottawa, Canada, 24-26/4/2013. A. Malamou, A. Karakasiliotis, E. Kallitsis, G. Boultadakis, and P. Frangos, 'Application of a Fully Automatic Autofocusing Algorithm for Post – Processing of Synthetic Aperture Radar Images based on Image Entropy Minimization', 'Electronics 2013' International Conference, Palanga, Lithuania, 17-19/6/2013. S. Sautbekov, P. Frangos, Ch. Christakis, K. Ioannidi, 'A closed – form analytical solution to the radiation problem from a short dipole antenna above flat ground using spectral domain approach', ICEAA Conference, Torino, Italy, September 2013. A. Malamou, C. Pandis, A. Karakasiliotis, P. Stefaneas, D. Kodokostas and P. Frangos, 'Application of an Autofocusing Algorithm for SAR Image Quality Improvement and Application of the Modified Fractal Signature (MFS) Method for SAR Image Classification for the case of Real Radar Data', CEMA'13 Conference, Technical University of Sofia, Bulgaria, October 2013. S. Sautbekov, P. Frangos, Ch. Christakis and K. Ioannidi, 'A novel closed – form analytical solution to the radiation problem from a vertical short dipole antenna above flat ground using spectral domain approach', CEMA'13 Conference, Technical University of Sofia, Bulgaria, October 2013. P. Frangos, 'Research at the NTUA, Athens, Greece, in the areas of ISAR / SAR radar signal processing and PO – SPM EM scattering problems', presentation at the Eurasian National University (ENU), Dept. of Physics, Astana, Kazakshtan, 25/2/2012 to 6/3/2012. E. Kallitsis, A. Karakasiliotis and P. Frangos, 'An Autofocusing Post-Processing Algorithm for ISAR Image Optimization', Erasmus visit to the University of V. Turnovo, Bulgaria, 23 – 28/4/2012. A. Malamou, A. Karakasiliotis, E. Kallitsis and P. Frangos, 'An Autofocusing Post-Processing Algorithm for SAR Image Optimization', SET 163 Working Group on SAR systems, Kavouri Attikis, Athens, Greece, 28 – 30/5/2012. A. Malamou, A. Karakasiliotis, E. Kallitsis, G. Boultadakis and P. Frangos, 'An autofocusing algorithm for post-processing of synthetic aperture radar (SAR) images based on image entropy minimization', SET 163 Working Group on SAR systems, DLR, Munich, 15 – 18/10/2012. C. Pandis, A. Malamou, P. Stefaneas and P. Frangos, 'Applying the modified fractal signature method to image classification : some preliminary results for ISAR radar images', SET 163 Working Group on SAR systems, DLR, Munich, 15 – 18/10/2012. A. Malamou, A. Karakasiliotis, E. Kallitsis, G. Boultadakis and P. Frangos, 'An autofocusing algorithm for post-processing of synthetic aperture radar (SAR) images based on image entropy minimization', CEMA'12 International Conference, National Technical University of Athens (NTUA), Athens, Greece, 8-10/11/2012. C. Pandis, A. Malamou, P. Stefaneas and P. Frangos, 'Applying the modified fractal signature method to image classification : some preliminary results for ISAR radar images', CEMA'12 International Conference, National Technical University of Athens (NTUA), Athens, Greece, 8-10/11/2012. E. D. Kallitsis, A. V. Karakasiliotis, G. E. Boultadakis, P. V. Frangos, 'A Fully Automatic Autofocusing Algorithm for Post-processing ISAR Imaging based on Image Entropy Minimization', presentation at the National Eurasian University, Astana, Kazakshtan, March 1, 2011. E. D. Kallitsis, A. V. Karakasiliotis, G. E. Boultadakis, P. V. Frangos, 'A Fully Automatic Autofocusing Algorithm for Post-processing ISAR Imaging based on Image Entropy Minimization', presentation at National Military University, V. Turnovo, Bulgaria, and University of V. Turnovo, Bulgaria, 25 – 30/3/2011. E. D. Kallitsis, A. V. Karakasiliotis, G. E. Boultadakis, P. V. Frangos, 'A Fully Automatic Autofocusing Algorithm for Post-processing ISAR Imaging based on Image Entropy Minimization', International Conference 'Electronics 2011', Kaunas Technical University, Kaunas, Lithuania, 17 – 19/5/2011. E. Kallitsis, A. Karakasiliotis and P. Frangos, 'An Autofocusing Post-Processing Algorithm for ISAR Image Optimization', 4th SET 163 Meeting, Dayton, Ohio, USA, 26 – 28 September 2011. E. Kallitsis, A. Karakasiliotis and P. Frangos, 'An Autofocusing Post-Processing Algorithm for ISAR Image Optimization', CEMA'11 Conference, Technical University of Sofia, Bulgaria, 6-8 October 2011. S. Sautbekov, G. Alkina and P. Frangos, 'Unsymmetrical electromagnetic wave diffraction by a long pipe', CEMA'11 Conference, Technical University of Sofia, Bulgaria, 6-8 October 2011. I. Zorbas, A. Chrysostomou, E. Papkelis, P. Frangos and M.N. Georgieva – Grosse, 'Three – dimensional Radio Coverage in Urban Environments using Physical Optics and Physical Theory of Diffraction', 'ICEAA-IEEE APWC 2011' Conference, Torino, Italy, September 2011. A. Chrysostomou, H. Moshovitis, I. Zorbas, S. Papkelis, H. Anastassiu and P. Frangos, 'A Three - Dimensional Radio Coverage Prediction Model for Urban Outdoor Environment using Physical Optics and Physical Theory of Diffraction / Calculation Results of Scattering of Electromagnetic Waves from a Rectangular, Perfectly Conducting Plate using an Extended Three Dimensional Stationary Phase Method which is based on Fresnel functions (SPM-F)', presentation at the University of Valladolid, Dept. of Telecommunications, Spain, 22 – 27/2/2010. A. Chrysostomou, I. Zorbas, E. Papkelis and P. Frangos, 'Radio Coverage Simulation for Three - Dimensional Urban Environment using Physical Optics, Physical Theory of Diffraction and the Near-to-Far-Field Transformation Method', 'Days on Diffraction 2010', Annual International Conference, St. Petersburg, Russia, June 8-11, 2010. E. Kallitsis, G. Boultadakis, A. Karakasiliotis, I. Tseremoglou, E. Stergiannis, H. Hristakis, E. Grigoratou, A. Vagianou and P. Frangos, 'An Autofocusing Algorithm for Post-processing ISAR Imaging based on Image Entropy Minimization', CEMA'10 International Conference, National Technical University of Athens (NTUA), Athens, Greece, 7-9/10/2010. G. Kalognomos, P. Frangos and T. Kostis, 'Performance Analysis of the PAPES Spectrum Estimation Method and its Application to the ISAR Imaging of Air Targets', SET 160 Symposium on 'NCI / ATR in Air-Ground and Maritime Applications based on Radar and Acoustics', Athens, Greece, 11-12/10/2010 (presentation and corresponding paper in the Proceedings). E. Kallitsis, G. Boultadakis, A. Karakasiliotis, I. Tseremoglou, E. Stergiannis, H. Hristakis, E. Grigoratou, A. Vagianou, P. Frangos, T. Kostis, E. Papkelis and S. Pintzos, 'An Autofocusing Algorithm for Post-processing ISAR Imaging based on Image Entropy Minimization', SET 160 Symposium on 'NCI / ATR in Air-Ground and Maritime Applications based on Radar and Acoustics', Athens, Greece, 11-12/10/2010 (presentation and corresponding paper in the Proceedings). T. G. Kostis, K. G. Galanis, A. K. Goudosis, I. A. Koukos and P. V. Frangos, 'False Naval Target Verisimility Issues for Imaging Radar Deception', SET 160 Symposium on 'NCI / ATR in Air-Ground and Maritime Applications based on Radar and Acoustics', Athens, Greece, 11-12/10/2010 (presentation and corresponding paper in the Proceedings). A. K. Goudosis, T. G. Kostis, K. G. Galanis, N. V. Nikitakos and P. V. Frangos, 'Decision Support Subsystem for the Simulator-defined Radar Countermeasure System (Sim-dRCS) Concept', SET 160 Symposium on 'NCI / ATR in Air-Ground and Maritime Applications based on Radar and Acoustics', Athens, Greece, 11-12/10/2010 (presentation and corresponding paper in the Proceedings). N. Triantafyllou, I. Ouranos, P. Stefaneas and P. Frangos, 'Using the OTS/CafeOBJ Method to Formally Specify and Verify the Open Mobile Alliance License Choice Algorithm', International Conference on Wireless Information Networks and Systems (WinSys 2010), Pireus, Greece, July 2010 (oral presentation / best student award for N. Triantafyllou / corresponding paper published by 'Springer' Editing Company). S. Sautbekov, R. Kasimkhanova and P. Frangos, 'Modified solution of Sommerfeld's problem', CEMA'10 International Conference, National Technical University of Athens (NTUA), Athens, Greece, 7-9/10/2010. Papoutsis, I., Kontoes, C., Massinas, B., Paradissis, D., and Frangos, P., 'Assessing the pre-seismic and post-seismic displacement in the Athens metropolitan area by SAR Interferometric Point Target Analysis, using ERS and Envisat datasets', in Proc. FRINGE, Frascati, Italy, 2009. H. Moshovitis, H. Anastassiu and P. Frangos, 'Computational efficiency of the extended three – dimensional Stationary Phase Method enhanced by Fresnel functions (3D-SPM-F)', accepted for presentation to 'EUCAP'09 International Conference on Antennas and Propagation', Berlin, Germany, 23-27/3/2009. A. Karakassiliotis, A. Lazarov, G. Kalognomos, G. Boultadakis, L. Stergioulas and P. Frangos, 'Recent and Current Research on ISAR Imaging at the National Technical University of Athens', 72nd meeting of SET 112 International Working Group on ISAR Signal Processing Techniques, DSTL, Salisbury, United Kingdom, 17 – 19/2/2009. Ch. G. Moschovitis, H. T. Anastassiu and P. V. Frangos, 'Calculation Results of Scattering of Electromagnetic Waves from a Rectangular, Perfectly Conducting Plate Using an Extended, Three Dimensional Stationary Phase Method which is Based on Fresnel functions (SPM-F)', presentations in the framework of the Erasmus Programme, Military University of V. Turnovo, Bulgaria (9/3/09), Technical University of Sofia, Dept. of Applied Mathematics (10/3/09), Univ. of Blagoevgrad, Bulgaria (11/3/09), Univ. of Sofia, Dept. of Physics (12/3/09), Univ. of V. Turnovo, Dept. of Mathematics and Informatics, Bulgaria (13/3/09). A. Karakasiliotis, G. Boultadakis, G. Kalognomos, A. Lazarov, L. Stergioulas and P. Frangos, 'Recent and Current Research on ISAR Imaging at the National Technical University of Athens', Presentation by : P. Frangos, 13th International Conference 'Electronics', Kaunas, Lithuania, 12 – 14 May 2009 (invited talk). G. E. Boultadakis, G. K. Kalognomos, L. K. Stergioulas, A. V. Karakasiliotis, and P. V. Frangos, 'A Comparative Study of Bilinear Time–Frequency Transforms of ISAR Signals for Air Target Imaging', 73rd meeting of SET 112 International Working Group on ISAR Signal Processing Techniques, Bonn, Germany, 16 – 18/6/2009 (presentation by P. Frangos). A. Doukeli, A. Lioumpas, G. Karagiannidis, P. Frangos and P. Mathiopoulos, 'Increasing the efficiency of Rake receivers for ultra – wideband applications', International Conference on Communications Systems and Technologies (ICCST 2009), Oslo, Norway, 1-3/8/2009. N. Triantafyllou, I. Ouranos, P. Stefaneas and P. Frangos, 'Algebraic Specifications for OMA REL Licenses', 'WiMob'2009' Conference, Marrakech, Morocco, 13 – 14/10/2009 (accepted for presentation). A. Karakasiliotis, G. Boultadakis, G. Kalognomos, V. Massinas, A. Lazarov, L. Stergioulas and P. Frangos, 'Recent and Current Research on ISAR Imaging at the National Technical University of Athens', Presentation by P. Frangos, International Workshop on 'GNSS Satellite Tracking using Laser Techniques', Metsovo, Greece, September 2009. A. Chrysostomou, I. Zorbas, E. Papkelis and P. Frangos, 'A 3D Radio Coverage Prediction Model for Urban Outdoor Environment using Physical Optics and Physical Theory of Diffraction', 'Communications, Electromagnetics and Medical Applications Conference', CEMA '09, Sofia, Bulgaria, 8-10/10/2009. H. Moschovitis, H. Anastassiu and P. Frangos, 'Extended Stationary Phase Method based on Fresnel functions (SPM-F) for the calculation of three-dimensional scattering of electromagnetic waves from rectangular perfectly conducting plates', 'Days-on-Diffraction 2008', International Conference, Saint Petersburg, Russia, June 3 - 5, 2008. G. Kalognomos and P. Frangos, 'Performance analysis of a Parameterized APES (PAPES) method for ISAR Applications', 70th meeting of SET 112 International Working Group on ISAR Signal Processing Techniques, Rome, Italy, 24-26/6/2008. A. Karakassiliotis, A. Lazarov and P. Frangos, ISAR imaging based on two – dimensional GTD scattering model', presented during 'European Microwave Week – European Radar Conference 2008' (EuRAD'2008), 29/10/08 – 31/10/08, Amsterdam, Netherlands. H. Moshovitis, H. Anastassiu and P. Frangos, 'Calculation results of scattering of electromagnetic waves from rectangular perfectly conducting plate using an extended three dimensional Stationary Phase Method which is based on Fresnel functions (SPM-F)', 'Communications, Electromagnetics and Medical Applications Conference', CEMA '08, Athens, Greece, 6-8/11/2008. P. Frangos, 'Education in Electrical and Computer Engineering in Hellenic Technical Universities, as compared to European and American Universities', presented to the EEGECS International Meeting, Athens, Greece, 31/11/06 to 1/12/06 (sponsored by the European Union), and corresponding paper (submitted 8/1/07). Iakovos Ouranos, Petros Stefaneas, Kostas Barlas, Stefanos Demertzis, George Koletsos and Panayiotis Frangos, "Modeling Real Time Authentication Protocols using Algebraic Specification Techniques-The case of TESLA Protocol", IFIP TC 7 2007, Krakow, 23-27 July, 2007. E. Papkelis, H. Anastassiu and P. Frangos, 'PO / PTD near – field scattering and diffraction method for path loss prediction in urban mobile radio – systems', 'Days - on – Diffraction 2007', International Conference, Saint Petersburg, Russia, May 29 – June 1, 2007. E. Papkelis, H. Anastassiu, P. Frangos and B. Massinas, 'Near field scattering methods applied to radio-propagation modeling in urban outdoor environments', 2007 IEEE International Symposium, Antennas and Propagation Society, Honolulu, Hawaii, USA, June 10 – 15, 2007. A. D. Lazarov, A. Karakasiliotis, and P. V. Frangos, 'Two-dimensional ISAR Signal Modeling and Imaging for Stepped Frequency Modulation', 67th SET 112 International Working Group and Meeting on ISAR Signal Processing Techniques, Athens, Greece, June 26 – 28, 2007. E. Papkelis, H. Anastassiu and P. Frangos, 'An Enhanced Method Based on LLDC Theory for the Computation of Near \ Fresnel Zone Diffraction from Finite Edged Scatterers', 'EUCAP'07 International Conference on Antennas and Propagation', Edinburgh, UK, 12 -16 November 2007. Iakovos Ouranos, Petros Stefaneas and Panayiotis Frangos, "A Formal Specification Framework for ad hoc mobile communication networks", SOFSEM 2007, Student Research Forum, vol.2, pp. 91-102, 20-26 January 2007, Harrachov, Czech. A. Karakasiliotis, G. Boultadakis, A. Lazarov and P. Frangos, 'High – Resolution Stepped Frequency Inverse Synthetic Aperture Radar Imaging Using Time – Frequency Transforms', 68th SET 112 International Working Group and Meeting on ISAR Signal Processing Techniques, ONERA, Paris, 9-11/10/2007. A. Karakasiliotis, G. Boultadakis, A. Lazarov and P. Frangos, 'High – Resolution Stepped Frequency Inverse Synthetic Aperture Radar Imaging Using Time – Frequency Transforms', 'Communications, Electromagnetics and Medical Applications Conference', CEMA '07, Sofia, Bulgaria, 25 – 27/10/2007. I. Ouranos, P. Stefaneas and P. Frangos, 'Specification and verification of security protocols of mobile telecommunication systems using formal methods of computation', Symposium organized by the Technical Chamber of Greece (TEE) under the name 'Modern trends in telecommunications technologies', Athens, Greece, 10/1/2006. A. Karakasiliotis and P. Frangos, 'Decimative Spectrum Estimation Method for High – Resolution Radar Parameter Estimates', 63rd meeting on 'Non – Cooperative Air Target Identification by Radar', Brussels, Belgium, 19-21/4/2006. A. Karakasiliotis and P. Frangos, 'Decimative Spectrum Estimation Method for High – Resolution Radar Parameter Estimates', 'CSNDSP 2006', 5th International Symposium on Communications and Signal Processing, University of Patras, Greece, 19-21 July 2006. H. Moshovitis, E. Papkelis, H. Anastassiu, K. Karakatselos, I. Ouranos, N. Freskas and P. Frangos, 'Asymptotic calculation of the scattered electromagnetic field from a finite rectangular plate using an enhanced Stationary Phase Method (SPM) approximation', EuCAP 2006 – 1st European Conference on Antennas and Propagation, 6-10 November 2006, Nice, France. E. Papkelis, C. Moschovitis, H. Anastassiu, K. Karakatselos, I. Ouranos, N. Freskas and P. Frangos, 'A Radio Coverage Prediction Method in Urban Microcellular Environments Using Electromagnetic Techniques - Asymptotic calculation of the scattered electric field from a finite rectangular plate using an enhanced Stationary Phase Method (SPM) approximation', presented to the Technical University of Varna, University of Veliko Turnovo, and Plovdiv Technical University (20th Anniversary International Conference of the Technical University of Plovdiv, 9-11/11/2006), Bulgaria, in the framework of Socrates – Erasmus agreements, October – November 2006. E. Papkelis, C. Moschovitis, H. Anastassiu, K. Karakatselos, I. Ouranos, N. Freskas and P. Frangos, 'A Radio Coverage Prediction Method in Urban Microcellular Environments Using Electromagnetic Techniques - Asymptotic calculation of the scattered electric field from a finite rectangular plate using an enhanced Stationary Phase Method (SPM) approximation', 'Communications, Electromagnetics and Medical Applications Conference', CEMA '06, Sofia, Bulgaria, 19-20 October 2006. A. Karakasiliotis and P. Frangos, 'Decimative Spectrum Estimation Method for High – Resolution Radar Parameter Estimates', 64th (SET 112) meeting on 'Non – Cooperative Air Target Identification by Radar', Paris, France, 13 – 16/10/2006. A. Karakasiliotis and P. Frangos, 'Decimative Spectrum Estimation Method for High – Resolution Radar Parameter Estimates', 'Communications, Electromagnetics and Medical Applications Conference', CEMA '06, Sofia, Bulgaria, 19-20 October 2006. A. Karakasiliotis and P. Frangos, 'Decimative Spectrum Estimation Method for High – Resolution Radar Parameter Estimates', Invited Talk at the Military University of Veliko Turnovo, Bulgaria, 25/10/2006. G. Boultadakis, K. Skrapas and P. Frangos, 'Bilinear Time – Frequency Analysis of Radar Signals', 61st meeting on 'Non – Cooperative Air Target Identification by Radar', Bonn, Germany, 22-24/2/05. G. Kalognomos and P. Frangos, 'Combining CAPON and APES noise covariance estimates for spectral estimation for ISAR applications', International Conference 'RAST 2005', 9-11 June 2005, Istanbul, Turkey. K. Skrapas, G. Boultadakis, A. Karakasiliotis and P. Frangos, 'Time – frequency analysis of Radar signals for ISAR applications', International Conference 'RAST 2005', 9-11 June 2005, Istanbul, Turkey. E. Papkelis, I. Ouranos, H. Moshovitis, K. Karakatselos and P. Frangos, 'A radio coverage prediction method in urban microcellular environments using electromagnetic techniques', International Conference 'Days on Diffraction', St. Petersburg, Russia, 28/6/05 – 1/7/05 (paper to be published in the Conference Proceedings and corresponding presentation). P. Frangos, E. Papkelis, I. Ouranos, H. Moshovitis and K. Karakatselos, 'Radio Coverage Simulation Tool in Urban Environments using Physical Optics and Physical Theory of Diffraction', Mediterranean Microwaves Symposium 2005 (MMS' 2005), September 6-8, 2005, Athens, Greece (paper and corresponding presentation). P. Frangos, H. Moshovitis, E. Papkelis, I. Ouranos and K. Karakatselos, 'Methods for the Calculation of the Radio Coverage in Urban Environments for Mobile Radiocommunications : Outline and Current Research', University of Veliko Turnovo, Bulgaria, 16-20/5/05 (presentation under the framework of a Socrates – Erasmus collaboration). G. Kalognomos and P. Frangos, 'Combining CAPON and APES noise covariance estimates for spectral estimation for ISAR applications', 62nd meeting on 'Non – Cooperative Air Target Identification by Radar', Malvern, United Kingdom, 7-9/6/05. I. Tseremoglu, A. Karakasiliotis and P. Frangos, 'Classification of aircraft targets: first simulation results using a Point Scatterer Model', 62nd meeting on 'Non – Cooperative Air Target Identification by Radar', Malvern, United Kingdom, 7-9/6/05. P. Frangos, 'Advanced analysis and recognition of radar signatures for non – cooperative air target identification', SET 085 3rd International Meeting (working group) on 'Radar Signatures from Aircraft Inlets', Athens, Sept. 2, 2005. G. Kalognomos, A. Karakasiliotis, G. Boultadakis, K. Skrapas, I. Tseremoglou and P. Frangos, 'Some super – resolution spectrum estimation techniques for Inverse Synthetic Aperture Radar (ISAR) signal processing', presentations in the framework of the Socrates – Erasmus Programme, V. Turnovo, Bulgaria (15/11/05), Plovdiv, Bulgaria (17/11/05), Burgas, Bulgaria (14/12/05). I. Ouranos, E. Papkelis and P. Frangos, 'An electromagnetic method for calculating radio coverage in urban environments using physical optics and physical theory of diffraction', International Conference 'Days on Diffraction', St. Petersburg, Russia, 29/6/04 – 2/7/04 (paper published in the Conference Proceedings, pp. 144 – 153, and corresponding presentation). A. Karakasiliotis and P. Frangos, 'Parametric Spectral Estimation Methods for ISAR Processing: Overview and Simulation Results', 58th meeting on 'Non – Cooperative Air Target Identification by Radar', Copenhagen, Denmark, 15-17 June 2004. Iakovos Ouranos, Petros Stefaneas and Panayiotis Frangos, "MobileOBJ: A Mobility Approach Using CafeOBJ Algebraic Specification Language", in Simos, T. E. (ed.) et al., ICNAAM 2004. International Conference on numerical analysis and applied mathematics 2004, Chalkis, Greece, September 10-14, 2004. Official conference of the European Society of Computational Methods in Science and Engineering (ESCMSE). Weinheim: Wiley-VCH. 375-378 (2004). [ISBN 3-527-40563-1/hbk]. Iakovos Ouranos, Petros Stefaneas and Panayiotis Frangos, "An Algebraic Specification of Mobile IPv6 Protocol", 1st International Conference PRISE 2004 (Principles of Software Engineering), pp.131-140, Buenos Aires, Argentina, November 22 - 27, 2004. G. Boultadakis, K. Skrapas and P. Frangos, 'Time – frequency analysis of radar signals', RTO / SET 080 International Symposium on 'Target Identification and Recognition Using RF Systems', Oslo, Norway, 11/10/04 – 13/10/04 (paper to be published at the Conference Proceedings, and corresponding oral presentation during the Conference). A. Karakasiliotis and P. Frangos, 'Comparison of several spectral estimation methods for application to ISAR imaging', RTO / SET 080 International Symposium on 'Target Identification and Recognition Using RF Systems', Oslo, Norway, 11/10/04 – 13/10/04 (paper to be published at the Conference Proceedings, and corresponding oral presentation during the Conference). B. Massinas, P. Frangos, H. Kontoes and D. Paradissis, 'GPS – derived Ionospheric Total Electron Content (TEC) response during two recent magnetic storms', 35th COSPAR Scientific Assembly, Paris, France, 18 – 25 July 2004. K. Eftaxias, P. Frangos, J. Polygiannakis, P. Kapiris and A. Peratzakis, 'Model of pre-seismic electromagnetic emissions in terms of fractal electrodynamics', EGS-AGU-EUG Joint Assembly, Nice, France, 6-11 April 2003. K. Eftaxias, P. Frangos, J. Polygiannakis, P. Kapiris and A. Peratzakis, 'Model of pre-seismic electromagnetic emissions in terms of fractal electrodynamics', International Union of Geodesy and Geophysics, XXIII General Assembly IUGG2003, State of the Planet, Frontiers and Challenges, Sapporo, Japan, 30/6/03 to 11/7/03. B. Massinas, P. Frangos, H. Kontoes and D. Paradissis, 'Ionospheric total electron content (TEC) perturbations monitored by the permanent GPS station at Dionyssos Satellite Observatory (DSO) of the National Technical University of Athens (NTUA), during two recent magnetic storms', 11th FIG International Conference, Santorini, Greece, May 25 – 28, 2003. B. Massinas, P. Frangos, H. Kontoes and D. Paradissis, 'Ionospheric total electron content (TEC) perturbations monitored by the permanent GPS station at Dionyssos Satellite Observatory of the National Technical University of Athens', working week and 125th anniversary of FIG (Federation Internationale des Geometres), Commission 5, Ecole National de Sciences Geographiques (ENSG) and IGN, Marne la Vallee, Paris, April 13 – 17, 2003. G. Kalognomos and P. Frangos, 'Non – parametric Spectral Estimation for ISAR Processing', 57th meeting on 'Non – Cooperative Air Target Identification by Radar', Rome, Italy, 28 – 30 October 2003. G. Kalognomos and P. Frangos, 'Imaging of point scatterers using the 2D – ISAR method and 2D – FFT processing', 52th International meeting on 'Non – Cooperative Air Target Identification by Radar', Salon – de – Provence, France, 5-8/2/02. 53th International meeting on 'Non – Cooperative Air Target Identification by Radar', Athens, Greece, May 2002 (presentation of research work on the above topic). 54th International Meeting on 'Non – Cooperative Air Target Identification by Radar', Ottawa, Canada, 1-4/10/02 (presentation of research work on the above topic). 50th International meeting on 'Non – Cooperative Air Target Identification by Radar', Istanbul, Turkey, 5-7/6/2001 (presentation of research work on the above topic). C. Papachristos and P. Frangos, 'Synthesis of single- and multi-mode planar optical waveguides by a direct numerical solution of the Gel'fand – Levitan – Marchenko integral equations', International Conference on Electromagnetics in Advanced Applications (ICEAA '01), September 2001, Torino, Italy. A. Potsis, N. Uzunoglou, P. Frangos, J. Mittermayer, A. Moreira and A. Reigber, 'Improving the focusing properties of SAR processors for wide – band and wide – beam low frequency imaging', International Conference on 'Remote Sensing by Low – Frequency Radars', Naples, Italy, September 20 – 21, 2001. A. Potsis, A. Dimou and P. Frangos, 'Applications of Synthetic Aperture Radar', Electronic and Information Warfare Symposium, Hellenic Navy, Salamina, Athens, 3-4/12/2001. N. Uzunoglu, P. Frangos, A. Potsis, R. Horn and M. Chandra, 'Analysis of P - band synthetic aperture radar for airborne and spaceborne applications', Sensors and Electronics Technology Symposium, Samos, Greece, 16 - 18 October 2000. A. Dimou, N. Uzunoglu, P. Frangos and U. Benz, 'Linear features detection in SAR images using fuzzy edge detector (FED)', Sensors and Electronics Technology Symposium, Samos, Greece, 16 - 18 October 2000. C. Papachristos and P. Frangos, 'Design of microwave and optical filters using the inverse scattering method', 2nd Symposium on Applied Electromagnetism of TransBlackSea Region, Xanthi, Greece, 27 - 29 June 2000. D. Houpis, P. Frangos and N. Uzunoglu, 'Imaging of radar targets using parabolic reflectors', 2nd Symposium on Applied Electromagnetism of TransBlackSea Region, Xanthi, Greece, 27 - 29 June 2000. 49th International meeting on 'Non – Cooperative Air Target Identification by Radar', Bonn, Germany, 30 – 31/10/2000 (presentation of research work on the above topic). P. Frangos, E. Boulougouris, S. Pintzos and I. Aliferis, 'Calculation of the Radar Cross Section of complex radar targets using high frequency electromagnetic techniques', International Conference on Electromagnetics in Advanced Applications (ICEAA '99), September 13 - 17, 1999, Torino, Italy. N. Uzunoglu, D. Houpis, P. Frangos, and A. Amditis, 'Imaging of radar targets using parabolic reflectors', International Conference on Electromagnetics in Advanced Applications (ICEAA '99), September 13 - 17, 1999, Torino, Italy. Ch. Papachristos and P. Frangos, 'Design of microwave microstrip filters using the inverse scattering method', International Conference on Electromagnetics in Advanced Applications (ICEAA '99), September 13 - 17, 1999, Torino, Italy. N. Uzunoglu, P. Frangos and D. Houpis, 'A method for radar target identification using a transfer function algorithmic approach', International Workshop on 'Non Cooperative Air Target Identification by Radar', Ottawa, Canada, March 3 - 5, 1998. 'The method of Auxiliary Sources: solution of the inverse scattering problem - determination of the source positions from far - field scattering data', presentation of the method by P. Frangos. Authors: R. Zaridge, G. Bit - Babik, D. Karkashadze, R. Jobava, D. Economou and N. Uzunoglu. International Workshop on 'Non Cooperative Air Target Identification by Radar', Madrid, Spain, June 23 - 26, 1998. N. Uzunoglu, A. Papanikolaou, P. Frangos, E. Boulougouris and D. Kaklamani, 'Calculation of the Radar Cross Section of ships using the Physical Optics Approximation', International Conference on 'Naval Technology for the 21st century', Hellenic Naval Academy, Piraeus, Greece, June 29 - 30, 1998. N. Uzunoglu, P. Frangos, E. Boulougouris, S. Pintzos and D. Kaklamani, 'Calculation of the Radar Cross Section of complex radar targets using the Physical Optics Approximation', Invited Paper, Progress of Electromagnetics Research Symposium (PIERS' 98), Nantes, France, July 13 - 17, 1998. P. Frangos, 'Decision - making process in contemporary Greek Universities / principles and structures' (invited talk), International Seminar on 'University Management', Sofia, Bulgaria, October 2-3, 1997. P. Frangos, 'One - dimensional inverse scattering: exact methods, numerical implementation and application examples' (invited paper), Advanced Study Institute on 'Applied Computational Electromagnetics: State of the Art and Future Trends', Samos, Greece, July 26 - August 5, 1997. P. Frangos, Y. Aliferis, K. Ntanaka and G. Athanassoulis, 'Reconstruction of sea bottom acoustic parameters using a multilayer model and obliquely incident acoustic waves", International Trans Black Sea Region Symposium on Applied Electromagnetism, Metsovo, Greece, April 1996. S. Savaidis, P. Frangos, D.L. Jaggard and K. Hizanidis, 'Scattering from multi - tone fractally corrugated or almost - periodic conducting surfaces using the Extended Boundary Condition Method', International Trans Black Sea Region Symposium on Applied Electromagnetism, Metsovo, Greece, April 1996. P. Frangos, N. Nikitakos and N. Uzunoglu, 'Scattering of electromagnetic waves from conducting objects of arbitrary shape using a finite - element near - field computation method', International Trans Black Sea Region Symposium on Applied Electromagnetism, Metsovo, Greece, April 1996. P. Frangos, 'A numerical method for the solution of one dimensional inverse scattering problems with applications to solitary wave propagation in nonlinear optical fibers', International Trans Black Sea Region Symposium on Applied Electromagnetism, Metsovo, Greece, April 1996. S. Savaidis, P. Frangos, D.L. Jaggard and K. Hizanidis, 'Scattering of electromagnetic waves from fractal conducting rough surfaces', Conference on 'Remote Sensing and Applications', Evgenides foundation, Athens, Greece, 28-29/11/1996. G. Karonis, D. Kaklamani, P. Frangos and N. Uzunoglu, 'Scattering of a plane wave by a general chiral ellipsoid', 1995 URSI International Symposium on Electromagnetic Theory, St. Petersburg, Russia, May 1995. G. Karonis, D. Kaklamani and P. Frangos, 'Interaction of electromagnetic waves with chiral ellipsoid scatterers', International Conference on Electromagnetics in Advanced Applications (ICEAA 95), Torino, Italy, September 1995. P. Frangos, N. Nikitakos and N. Uzunoglu, 'Electromagnetic field of a plane trapezoid of uniform distribution of current', 8th International Symposium on Theoretical Electrical Engineering, Thessaloniki, Greece, September 1995. P. Frangos, N. Nikitakos and N. Uzunoglu, 'Calculation of the natural frequencies of complex targets', 3rd International Conference on EMs in Aerospace Applications, Torino, Italy, 1993. P. Frangos, N. Uzunoglu and N. Nikitakos, 'Calculation of the natural frequencies of complex objects using the finite element method', 1st Scientific meeting on 'Study of wave problems', ITE, Iraklion, Crete, 1991. N. Uzunoglu, P. Frangos and P. Tsiganos, 'An inverse scattering method for the determination of the temperature profile in the human body using ultrasonic waves', COMAC-BME International Workshop on Non-Invasive Thermometry, Barcelona, Spain, 1991. P. Frangos, D. Frantzeskakis and C. Capsalis, 'Iterative solution of the problem of pulse propagation in an inhomogeneous nonlinear optical fiber by using the inverse scattering method', 3rd international symposium on recent advances in microwave technology, Reno, Nevada, USA, 1991. P. Frangos, D. Frantzeskakis and C. Capsalis, 'Propagation of an optical pulse in an inhomogeneous nonlinear fiber by using an iterative inverse scattering method', 7th Laser Science Conference,American Physical Society, Monterey, California, USA, 1991. N. Uzunoglu, P. Frangos and P. Tsiganos, 'Application of inverse scattering methods to problems of medical diagnostics', Mechanics Conference on 'Wave Problems for solids and fluids', Aristotle University of Thessaloniki, Thessaloniki, Greece, 1991. P. Frangos and D. Jaggard, 'A numerical solution to the Zakharov - Shabat inverse scattering problem', IEEE / Ant. Prop. International Symposium, Philadelphia, USA, 1986. D. Jaggard, P. Frangos and Y. Kim, 'Some nonlinear methods for inverse scattering', 5th Annual B. Franklin Symposium on Advances in Antennas and Microwave Technology, Philadelphia, USA, 1985. D. Jaggard and P. Frangos, 'Inverse scattering for dielectric media', Annual meeting of the Optical Society of America, Washington, USA, 1985. D. Jaggard, P. Frangos and Y. Kim, 'Nonlinear inversion techniques for one-dimensional inhomogeneous dielectrics', Proceedings of USA - France Conference on Near Field Microwave Imaging, Georgia, USA, September 1985. P. Frangos and D. Jaggard, 'Inverse scattering for one - dimensional dielectrics', 4th Annual B. Franklin Symposium on Advances in Antennas and Microwave Technology, Philadelphia, USA, 1984. P. Frangos and D. Jaggard, 'Inverse scattering for one - dimensional dispersionless dielectrics', IEEE / Ant. Prop. International Symposium, Boston, USA, 1984. P. Frangos and A. Malamou, 'Electric Circuits', 455 pages, in Greek, Athens, 2016. P. Frangos, 'Electromagnetic Methods for Remote Sensing', Graduate textbook, 248 pages, Papasotiriou Publishing Company, National Technical University of Athens, Greece, 1999. Malamou, C. Pandis, A. Karakasiliotis, P. Stefaneas, E. Kallitsis and P. Frangos, 'SAR imaging : an autofocusing method for improving image quality and MFS image classification technique', in Volume edited by 'Springer' Ed. Co., 'Applications of Mathematics and Informatics in Science and Engineering', Springer Optimization and Its Applications (SOIA), 2013. 'Fractal Electrodynamics : Surfaces and Superlattices' (invited paper), by D.L. Jaggard, A.D. Jaggard and P. Frangos, IEEE Press, Special issue with title 'Frontiers in Electromagnetics, D.H. Werner and Raj Mittra (Editors), pp. 1-47, 2000. I. Aliferis, K. Ntanaka and P. Frangos, 'Reconstruction of Sea Bottom Acoustic Parameters Using a Multilayer Model and Obliquely Incident Acoustic Waves' (invited paper), 'Applied Computational Electromagnetics - State of the Art and Future Trends', 14 pages, Springer - Verlag, November 1999 (ISBN : 3-540-65819-X).